Vodafone India, one of the leading telecom operator in India has announced a new initiative for its customers in UP East. The operator’s MyVodafone app which can be accessed by Vodafone customers as per their convenience 24X7, free of any internet charges (in India) has now got an interesting offer. For the unknown, the MyVodafone App is available for all the Android, iOS, and Windows Phone users for free. 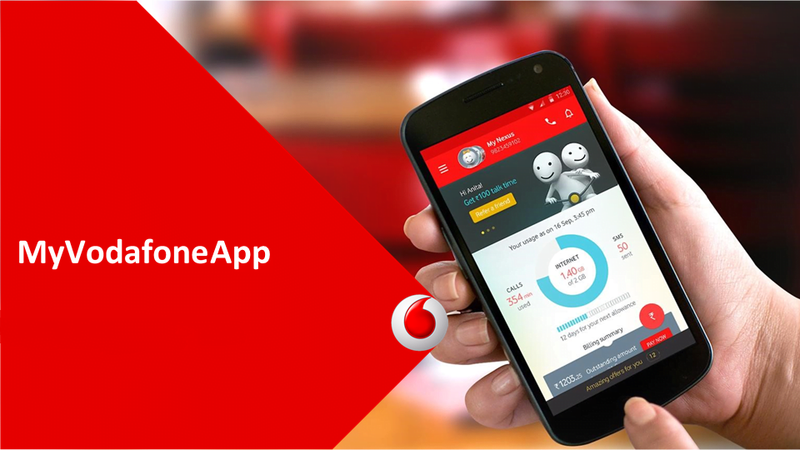 Vodafone prepaid customers in UP East can now enjoy more benefits when they refill via MyVodafone app. Now Vodafone prepaid customers in UP East, who recharge through MyVodafone App, will get 5% cash back on Unlimited Super Plans and full talk-time benefit on recharge of Rs. 110. “Developed on a state-of-the-art platform with the intuitive and customized interface, MyVodafone App provides a personalized experience for postpaid and prepaid customers,” says Vodafone. As said earlier, MyVodafone App is one stop solution from which the customer can check his/her data or voice usage, plan details, pay bills, buy recharges and bonus cards, get best offers, access their M-Pesa account, recharge/pay bills for friends and family and so much more. And the customer can navigate MyVodafone App for all these facilities without any internet charges. Yes, you heard it right, Vodafone won’t charge you even if you’re using the Vodafone app without mobile data active on your prepaid number. Recently, Aircel also made its application a data free one. Furthermore, Vodafone says that the app is designed to navigate with options suggesting next steps, its inbuilt smart analytics provides a detailed understanding of each customer’s requirements and prompt to buy best offers tailor-made for the customer. “Also, customers can now enjoy 5% cash back on prepaid unlimited super plan with anyone Additionally, we have built-in incentives for customers to conveniently browse through different sections of MyVodafone App anytime, anywhere,” he added. In kolkata for my number there is no cash back offer now. Previously it gives 5% discount. Now no discount is there offered by vodafone. Same thing for 70 days 70GB with unlimited Vodafone to vodafone. No discount now. Also there I see Vodafone 347 offer of Unlimited calls and 1GB/Day for 28 days is limited period offer and only 5 days remaining to grab the offer. Offtopic: Idea is exapnding their 3G/4G network rapidly in rural areas in Bihar & vodafone is shuting down 2G.Does it mean Vodafone-Ides merger is taking place? ?How ever Vodafone users are still unable to lach on Idea Netwoek where they shut down. Idea 3G/4G is available in my village now where Airtel/Bsnl have 2G only but the problem is the T&C 4G sim+4G handset. If Idea will provide offer for all handsets then it will be great.